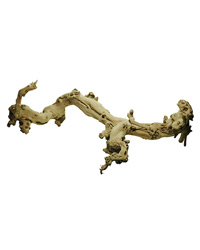 Lucky Reptile Grapevine is sand-blasted and looks very attractive. Compared to the Premium Grapevine it has a brighter colouration but is thinner. The pieces have unique branching creating a special charm.